Monday, May 21st, 2018	, by U.M. Have you ever heard that melodious tune of ‘Despacito’? I’m sure you have listened to that at least once, because it’s such a marvelous hit that was popular all over the world. Do you know who sings it? He’s Luis Alfonso Rodriguez or as you all know him Luis Fonsi. He’s a Puerto Rican who sings and writes songs. And he’s a good actor too. Although he came to the field recently, he became widely popular due to his ‘Despacito’. He sings and performs it with Daddy Yankee, a rapper. However, they have won 4 Latin Grammy awards for that. His fame began to grow with this lucky song, ‘Despacito’. 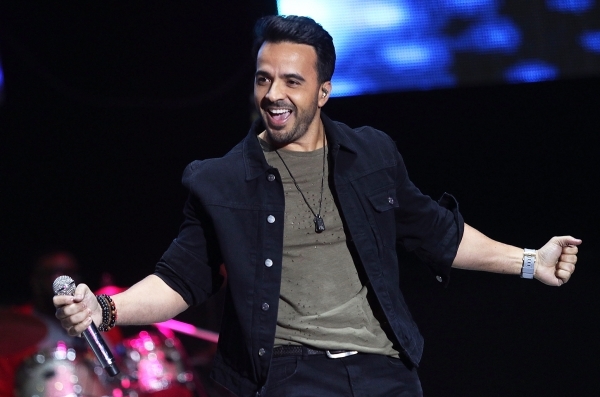 In Billboard Latin Music Awards in 2018, Luis Fonsi talked about the success of his song. And he has also expressed his gratitude for those who helped him in making despacito a success. He was born on 15th August, 1978. Dr. Philip’s High School in Florida was hi firsts school. And later on, he entered the State University to study music further. He had been a member of ‘Big Guys’, a music group and showed his talents even when he was schooling. Being a child star Luis earned many things including his unbreakable fame. He has won a number of awards for music and got a variety of great opportunities in the field. Later, in 1998, he recorded his album, ‘Commentaries’. It exceeded the sales in thousands and save his name as yet another singer who can talk to the hearts of people. The hot video clip that followed the song made his fans crazy at him. It has become a world wide hit maybe due to the melodious tune and his loving nature of singing. His voice is laden with a lot of feelings. So, Fonsi has shown us that music is a Universal language. In spite of the unknown words everybody enjoys it. With his growing popularity, he got many valuable offers. For instance, the pop super star, Justin Bieber invited him to do a remix and Fonsi accepted it happily. The Verse he added to the song became amazingly popular. In Latin Grammy Awards it even won ‘the record of the year’ award. His fortune seems to have promised him even more, because his name is rising high up in the music world day by day. One thing I like in Luis Fonsi is the honest smile he always wears in his face. The handsome figure and pleasant face are two other things that brighten his career. And his efforts to help the poor slum-dwellers in his country is yet another plus point I see in him. Recently, he has travelled to La Perla with a set of his celebrity friends and donated basic facilities like water, clothing and food to the people there. The humanity he showed to these under-privileged people is praiseworthy. These things add even more color to his growing popularity. Anyway, Fonsi is sure to be another long lasting, bright super star like Michael Jackson or Elvis Presley. I wish him good luck!